Let's not mince words here — being next to someone who either forgot to put deodorant on or could clearly use a stronger dosage of Degree is one of the worst. Things. Ever. The problem is that while you'd be profusely thanked for telling someone that they have spinach in their teeth or that their skirt has ridden up in the back, there's no way to politely tell someone that, excuse me, something smells like stinky old onions in here and that something is you. Well, except for the fact that you can now anonymously send the offender a stick of deodorant in the mail, along with a note letting them know that they smell. No, really, we're serious. G.B. Proudfoot's Natural Body Care Products now offers Deodorgrams, which are exactly what they sound like. The next time a friend or co-worker gets a little ripe, just head to this website, and pick out the stick you think would suit the olfactory offender best. Then, choose one of three semi-creepy messages that gently directs them to use the product — our favorite is "You've always been such a cute little stinker, now you can just be cute and little! 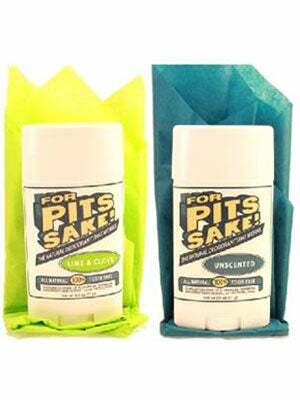 Please enjoy this hard working natural deodorant sent to you from a caring friend" — and hit send. Sure, they may be momentarily mortified, but at least you won't get blamed for sending it. Consider it a public service for those who don't like being around stinky people, which, the last time we took a poll, was everyone. What do you think: Would you give a Deodorgram? And would you be horrified or grateful if someone sent one to you?